Priest Light Monyeki from Soshanguve, South Africa, took it upon himself to prove his followers were both ‘superhuman’ and ‘immortal’, with a seriously dangerous stunt. The priest declared to his congregation they should not fear death, as they will not die, before proceeding to pour bottles of water contaminated with rat poison into their mouths. Unfortunately for them they were more than happy to oblige. Horrifyingly, many of his followers ran forward to take a fatal swig of the lethal stuff in a desperate bid to get closer to God. 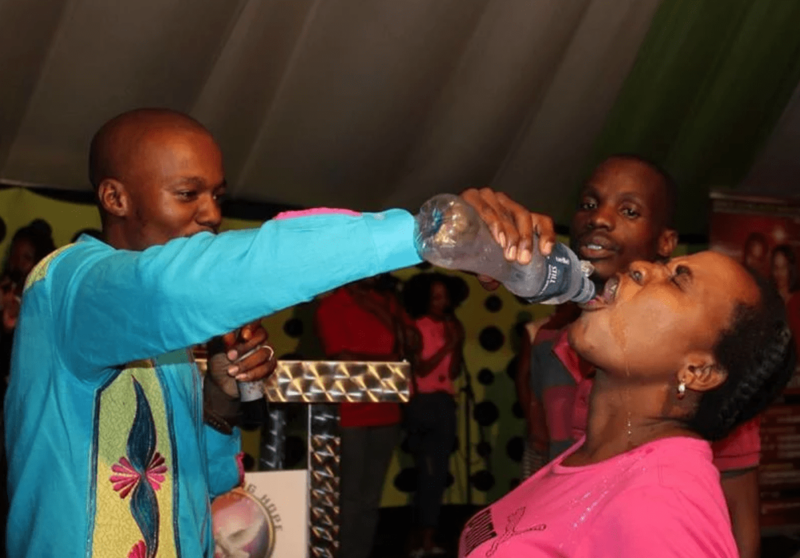 The priest first drank the poison fluid before pouring it down the throats of his loyal congregation. Predictably, members of his church started to complain of stomach pains and by the evening, five of them had died. A further 13 were taken to hospital for the ingestion of the lethal drink, but despite all of this Monyeki allegedly denied responsibility. Surely he’s not referring to his poison drink as a ‘good thing,’. There’s a line when it comes to dark humour. The incident sparked a police investigation, but no arrests were made. It’s infuriating to think this priest ever thought for a second this was a good idea and it highlights a gross abuse of power.